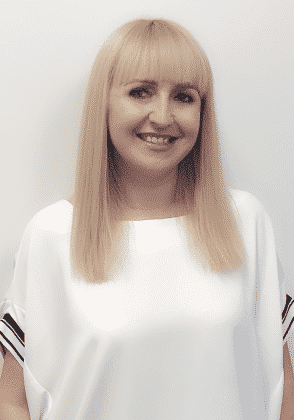 Hi, my name is Sylwia Lesniak and I am originally from Poland, having moved to the United States over 10 years ago. Prior to joining Napoli Shkolnik PLLC as a marketing community liaison, I found success as an entrepreneur with two businesses. The first one was a Cleaning Company and the other was a Polish Supermarket. 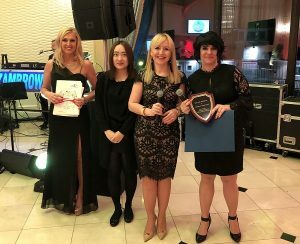 As part of my role at the firm, I am responsible for creating awareness of Napoli Shkolnik and their numerous practice areas to the Polish Community. We want to make sure that everyone who needs legal representation knows what options they have and can make an informed decision. My goal is to ensure that the Polish Community knows that no matter what their situation is, there will always be people who are on their side and willing to help. I am able to help people in Polish, Italian and Ukrainian. 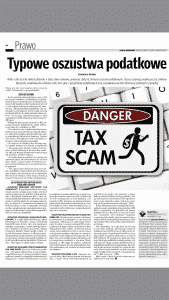 Learn more about how to avoid tax scams by reading “Typowe oszustwa podatkowe”, which appeared in Nowy Dziennik. Check out our latest Personal Injury Article, “Jak chronić swoje prawa po wypadku samochodowym“, in Nowy Dziennik. Happy 25th Anniversary to Polonia of Long Island! 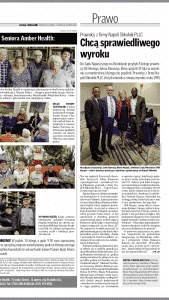 John Ramsey Press Conference on February 8, 2019 as covered in a recent edition of Nowy Dziennik. Mr. Ramsey recently filed a motion in Brooklyn Supreme Court to vacate his 1981 conviction. Have you seen our latest article in Nowy Dziennik? Meet Sylwia Lesniak in person and learn more about Zadroga Claims. Great to be part of such a festive event, “Breakfast with Santa” in Copiague, New York. 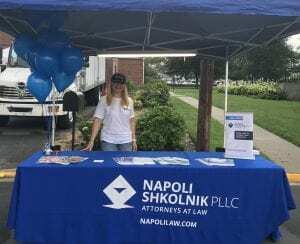 Napoli Shkolnik PLLC was happy to support this event organized by Polonia of Long Island. Annual Medicus (Polish American Medical Society) Holiday Event at the Consulate General of the Republic of Poland in New York. W imieniu MEDISUa I moim wlasnym chcem serdecznie podziekowac za sponsorowanie naszej organizacji. 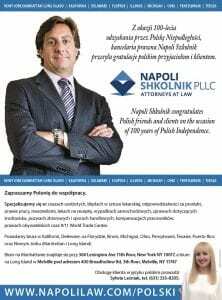 Thank you to Napoli Sholnik PLLC, on behalf of my organization MEDICUS for supporting our Christmas Party at the Polish Consulate on December 7, 2018. Wishing you and your company Happy Holiday and a Happy New Year 2019. Of Counsel Paul J. Napoli was featured in the November 17, 2018 issue of Nowy Dziennik in the article entitled “Wciąż można domagać się odszkodowania za 9/11” which discusses the history of the firm, the events of September 11th and large settlements and verdicts. Cieszymy sie ze moglismy byc wspolsponsorem tego wspanialego wydarzenia. 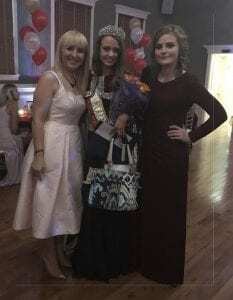 Excited to be part of the Miss Polonia Copiague 2018 event as a Scholarship Sponsor. Ready to answer your questions at Our Lady of Assumption in Long Island! Secretary and office manager assistant in European Union Institution, located in Poland.